Buying and selling the residential properties in current Miami real estate market can be confusing because there are a number of options available in developers and projects. There are so many valid concerns that may arise while taking the decision. The Alexander Condos are the best options to get out of all these concerns and are just a few steps away from the Atlantic Ocean Beach. The Alexander Building is only a few minutes’ drive away from the South Beach and has incredible views of city, bay, and ocean and has year-round ocean breeze. In the Mid Beach Row area of Miami Beach, the Alexander Condos is located at the Collins Avenue 5225 on the Atlantic Ocean. This condominium was built in 1962 and is available for immediate occupancy. This Miami Beach Row Area has long been desirable because it is a fine narrow strip between Indian Creek and the Atlantic Ocean. This residential building allows an oceanfront living. Also, the Indian Creek docks allow an access to the ocean with boating. There is so much media information available that can cause confusion in making a right decision. This is the reason why you need the services of property experts to guide you through every step. 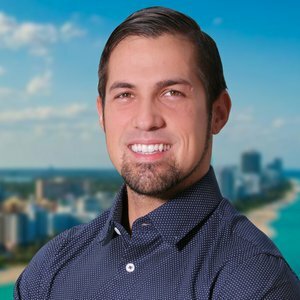 The experts at https://alexandercondosforsale.com/ pride themselves in providing the complete property solutions in Miami, Florida. To check the property that is currently available, you only need to click on the Alexander Condos for Sale or rent at the website and you will get the best possible options. This online resource will give you all the valid and reliable information of Alexander Condos at Miami Beach and the experienced realtors to assist you in making the right decision of your life. You can call them or visit the website anytime 24*7 and schedule an appointment to discuss your situation and they will share their experience and knowledge with you and help you start enjoying your lifestyle in Miami, Florida. Located in the Collins Avenue, near the Miami Beach, the Alexander condominiums are one of the top choices for people looking to spot the best apartments to stay. These condos come packed with some of the best possible facilities which are sure to give you an extra incentive to stay here. These condos are located just a few steps away from the Atlantic ocean which means that some of the condos definitely come with the ocean view which is breathtaking and absolutely gorgeous. Can you imagine the joy of waking up to the beautiful view of the Oceanside? Further, it is simply a few minutes’ drive from the south beach which means that you can make some impromptu plans and get a tan as and when you want. These condos were built way back in 1962 and currently the prices are in the affordable range. However, the area is already witnessing a boom because there are too may construction projects coming up and the overall area is going through some massive developments and growth too. So, in the times to come, it is highly likely that the prices will shoot the sky. This infers that buying Alexander condominiums seems a great decision even from an investment point of view. If you explore the kind of amenities you would get, you are bound to be impressed. The condos come with a 24 hour valet and coverage service. This is not it, as you also have a high speed Wi-Fi in the common areas and a resident club room along with resort deck too. Of course, the spa and fitness centre are worth a mention and so is the roof top pool with sun deck facility. So, each of these is a reason good enough for you to consider staying at the Alexander condominiums. In today's real estate market, Miami is the hottest option. As a matter of fact, it is value for money and quality investments for the people looking forward to the region that has affordable rental rates and prime areas to enjoy like Downtown, beaches, and shopping places. Needless to say, investors will go surprised by the growth of Miami area in the past few years. You are suggested to look for the Alexander Condos to invest as a permanent home or as a temporary vacation home. You will be surprised by the amazing architecture of this condo unit. And, it will be overwhelming to visit here and explore the currently available property options that are affordable to you and suits all your requirements. Located at 5225 Collins Avenue, Miami, the Alexander Condos unit is a perfect blend of rich lifestyle and modern architecture. This residential unit offers up to 2 bedroom apartments. These apartments are so spacious that you can enjoy a family party here. The big balconies are a wonder itself as its floor to ceiling glass doors and windows offer you the stunning views of beaches and downtown. You can enjoy the sparkling lights of sky-high buildings in the night. The concierge service and valet parking facility are available 24-hours for you and it makes you live freely and enjoy your vacations without any tension of security of your place and luggage behind in your home here. The Collins Avenue Area is now 15 percent more developed than the earlier years. If you are impressed by the beautiful features of this area and want to invest in Alexander Condos then you are suggested to visit https://alexandercondosforsale.com/ the official rental website to explore the options. You can visit here and look for the BUY or RENT options for property that may fit into your list of requirements. You can talk to the real estate experts available on the website. The expert will help you with all your queries of properties in this area. There are endless options available when it comes to Miami real estate. The area is buzzing with too many diverse skyscrapers and this is why if you are on the lookout for the best luxury condos which can give you the finest facilities, the Alexander condominiums seems like a smart option at the moment. Let us see what makes this condo such a winning choice among too many people. The Alexander condominiums are located mere minutes away from the Atlantic Ocean beach and at the same time, the South Beach too is in close proximity. Not only this, you will be able to steal some of the most amazing views of the bay, city and even the ocean. The Alexander condominiums enjoys by far one of the best location as no matter what is on your mind, be it luxury designer label shopping or beaches, nightlife fine dine, pubs and more; you have all of it located very nearby. So, explore the diverse range of options and indulge in the kind of pleasure you want. Not only this, even if you want to explore the kind of amenities you will be able to enjoy when you decide to stay at the Alexander condominiums, you are in for a treat. The condos come with some of the best state of the art amenities which include a fitness room replete with the best gym equipments, an owner’s lounge, a children’s playroom, an infinity pool, the best of luxurious spa and what not. So, all those who really want to upgrade their standard of living and want to enjoy their life to the fullest should make it a point to analyze the condos which are currently available and buy them. The Alexander condominiums are definitely the best choice for anyone looking to settle in Miami currently. When it comes to living a luxurious life by the beautiful beaches, there is no better place than the city of Miami in Florida. 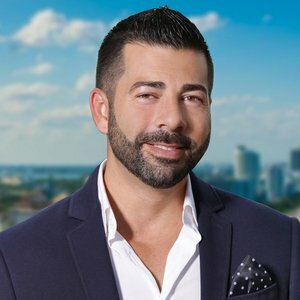 This city is truly among one of the best residential locations within Florida because so many other factors are included in making this place popular such as sunny weather, clear sky, white sandy beaches, sky-scrapper residential and commercial towers, and wonderful people who make your neighborhood happy. If you ever think of living in a beachside home then The Alexander Condos will be the best option for you. This community is definitely a worth to invest to make your dream come true for a beach side home. Regardless of where you want to live in Miami, located at 5225 Collins Avenue, The Alexander Condos will give almost everything that you are looking for. You will find these condos the best in the city because it is advantageously located near all the best parts of the city. You will be able to enjoy the world-class restaurants, shopping centers, sports places, golf courses, amazing nightlife, and cafes and bars. These condos will be the best option for you to invest when you consider all of the above-listed facilities. This place is just a few minutes away from the Atlantic Ocean and you will find yourself enjoying the water views in the night from the Balcony of your condo. The Alexander Condos offer enough spacious rooms and floor to ceiling glass-door balconies so you can enjoy the views of downtown, beaches, and clear sky and ocean. Following your interest in these condos, you are recommended to visit their official https://alexandercondosforsale.com/ so you can check the availability of the condos that are available to Buy or RENT. At the website, you can also check the floor plans and the prices, and the conditions of ownership. You can also take the help of property agents available on the website. They will help you choose the right property in your budget. alexandercondosforsale.com - All rights reserved.